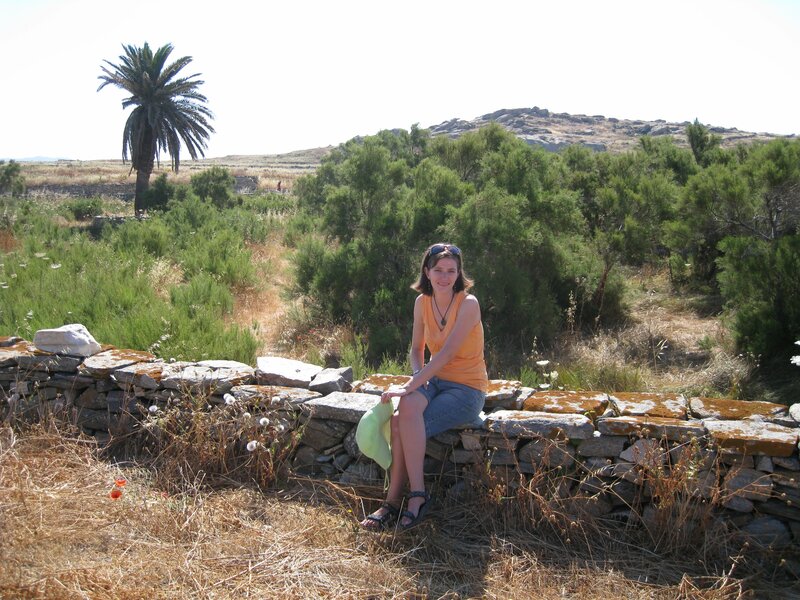 Delos and Mykonos | Where is Yvette? The weird thing about a cruise versus how I usually travel is a cruise will do in two days what I will spend a week doing when left to my own devices. 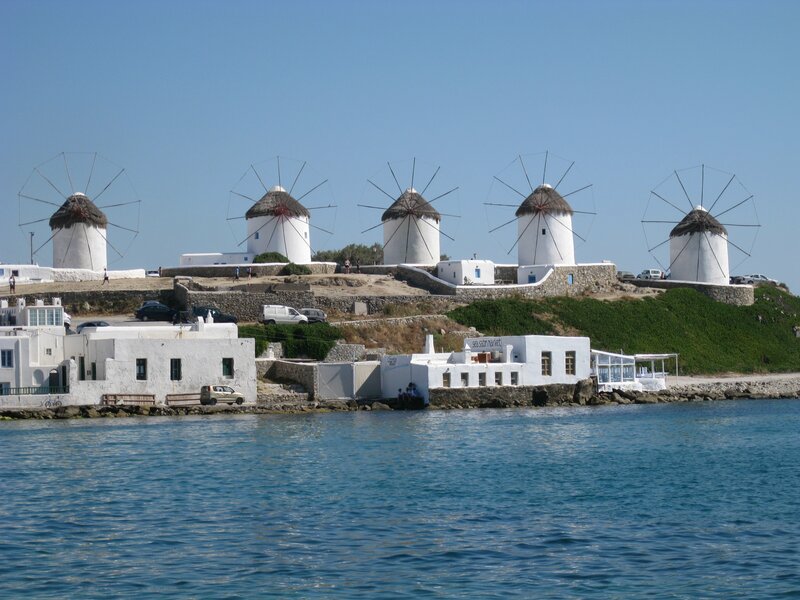 Like I could spend days in a place like Mykonos but here I was, fitting it into an afternoon… and we saw Delos that morning to make things even more hectic, so I’m just sticking the two islands together for lack of any better structure. 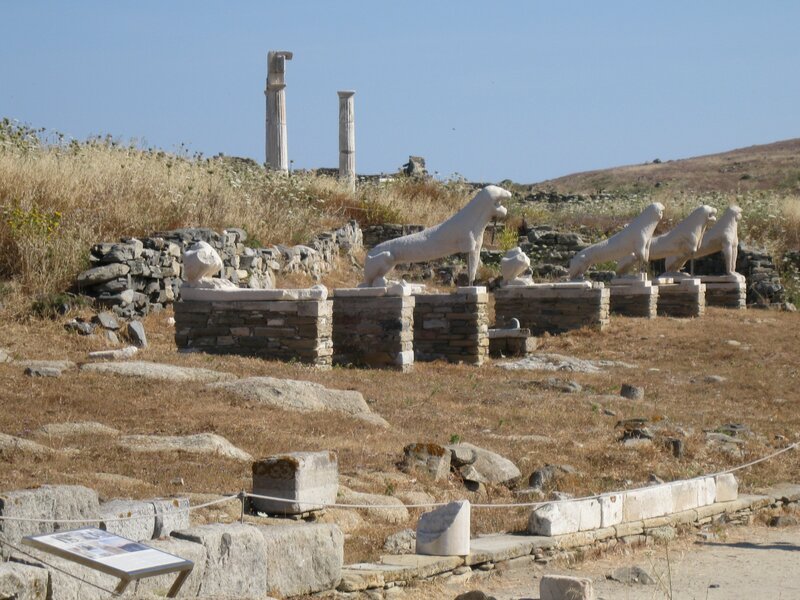 These are the famous lions on Delos. Why is Delos famous, you ask? 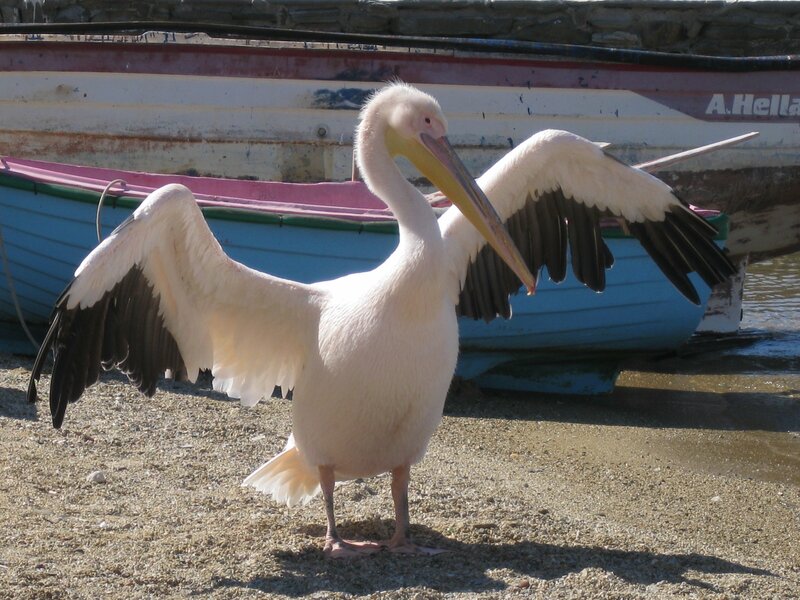 Because it was a holy island during the classical Greek period and home to 30,000 inhabitants, and was inhabited for thousands of years until piracy forced the Greeks to abandon the isle in the first century B.C. So it’s the best-preserved ancient Greek site in the world- the only one where you can do things like walk down streets and see houses and things like that- and the scale of the place really overwhelms you. 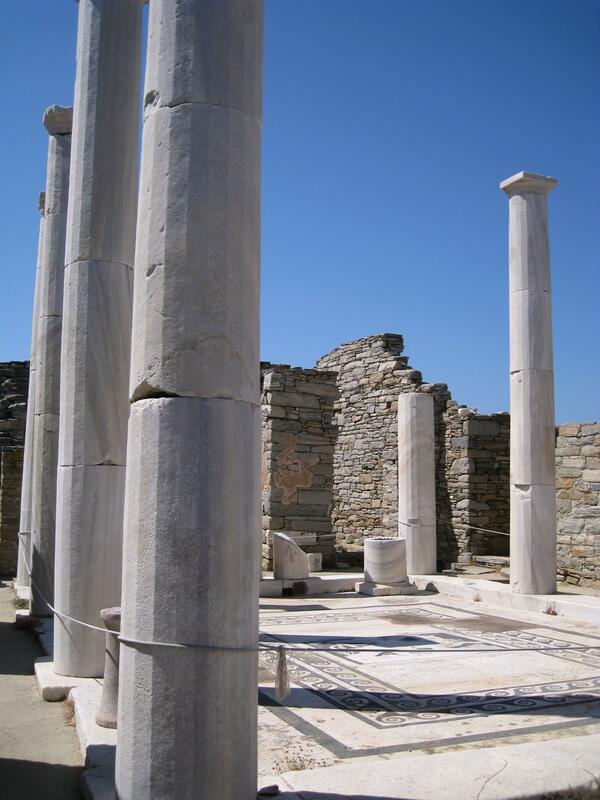 The reason Delos was an important religious site is it is the sunniest point in Greece, hence they said the twin gods Apollo (god of the sun) and Artemis (goddess of the moon) were born here. When we were younger my twin brother Patrick and I had the perfectly normal hobby of Greco-Roman mythology under our belts so we decided Apollo and Artemis were “our” gods, so I was happy to come here though sad Patrick wasn’t here to see it with me. The palm tree behind my shoulder is where they were allegedly born by the way- allegedly Artemis was born first but she grew up so quickly she could help her mother with the birth of her brother. While the temples are cool, my favorite thing about Delos is how you can see the old houses and daily life the Greeks led when they used to live here. These sets of columns were the main atrium part of a wealthy house which, believe it or not, held up a second story as well. Quite impressive to think about! 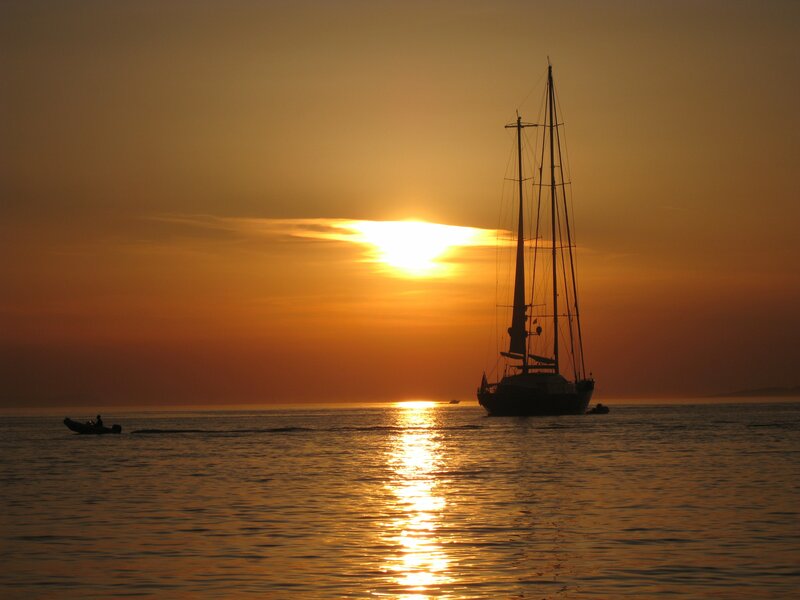 Next stop: Mykonos. 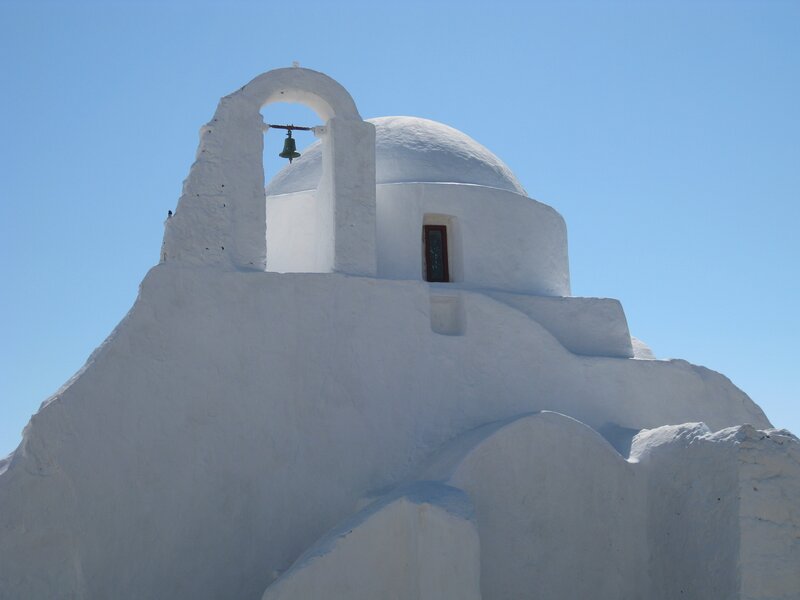 Where they have beautiful whitewashed architecture that you always think about when you think of Greece, such as this small chapel. So that is a quick whirlwind tour of the first two islands we checked out. If you feel breathless at the pace then you know just how I felt!